Focus In was the $19,000 sale topper at the 2009 Vin-Mar Cattle Co sale. 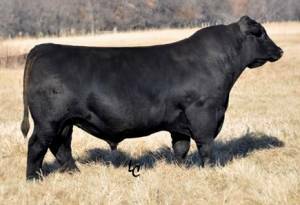 He was one of the most talked about bulls in the yards in Denver. He is stout, heavily muscled, great profiled and sound structured! Focus In posted tremendous growth ratios amongst 105 in his contemporary group.